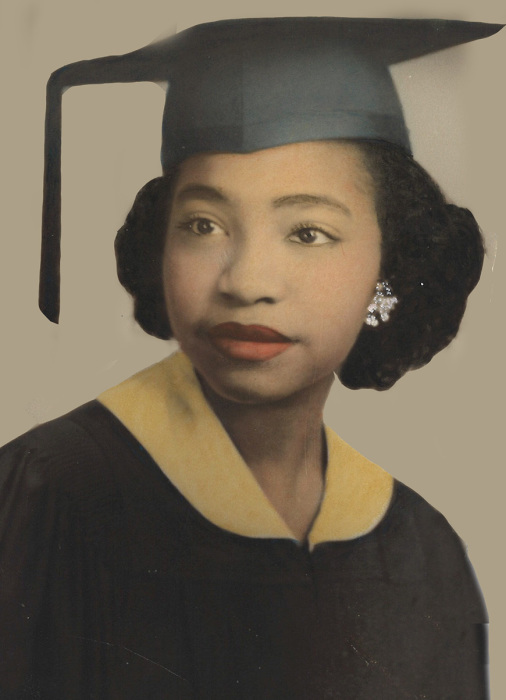 Obituary for Leona Violet (Ferebee) Johnson | Beach Funeral & Cremation Services, Inc.
Leona was born October 17, 1938 to the late Elijah Burden and Leona Ferebee of Princess Ann County, VA. She attended high school in Brooklyn, New York and graduated in 1956. From there Leona moved to Virginia Beach where she worked for Sentara Virginia Beach General for over 13 years. Leona joined Union Baptist church under the leadership of Rev. S.L. Scott Sr. Leona remained active in the Women’s and Hospitality Ministries until her health recently began to fail. Leona was a kindhearted person, who was always willing to help even without being asked. Leona lived a rich and vibrant life as she radiated happiness at all times. She was predeceased by her husband George Robert Johnson, sisters Mary Francis Collins (niece Patricia Knight Mingo), Jessie Mae Lofland, Queenie Mae Stevenson (niece Sandra Faye Allen) and son Clay Johnson. With lasting memories, Leona is survived by her son Robert (Ruby) Johnson, daughter Lisa Marie Johnson, grandchildren Dwayne Johnson and Jalessa (Adrian) Hendricks, great-granddaughter Maleah Johnson, great nephews DaVid Roland (Sonia) Williams, Mario Guy Mingo, Harold Britt, Denzel Creekmore, great nieces Erica Britt, Cynthia Britt and a host of other loving cousins, relatives, and friends. Leona Violette Johnson, we have a reserved place in our hearts for you filled with an everlasting abundance of love.